Eco Efficient is among the most popular boiler servicing companies across the United Kingdom. The company boasts of decades of experience in the boiler installation and maintenance. Besides, the company offer central heating system installation and maintenance as well as providing real and the most effective solutions to property owners and households battling with gas and boiler leaks. 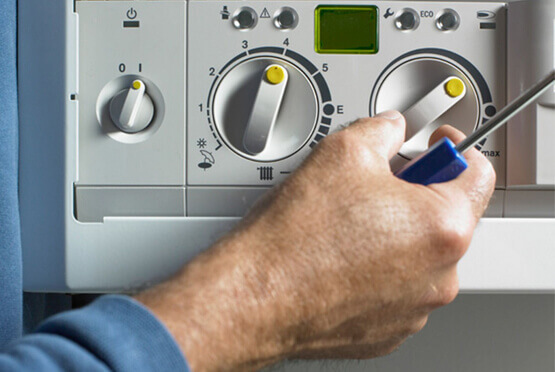 Our engineers have many years of experience in dealing with different types and models of central heating systems and boilers. They understand how different boilers function and thus, they are always in a better position to install, repair, service, and replace the boilers and the central heating systems whenever required to do so. To keep our staff relevant in the domestic and commercial heating industry, we always train our employees regularly to help them keep up with the constantly-changing boiler and central heating technology. Besides, we have provided them with the right tools and equipment to make sure that they serve our customers effectively and meet our service delivery standards.